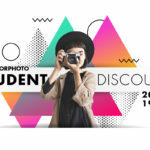 Outdoorphoto is a well-known and trusted buyer and reseller of used photographic gear. Trade in your used gear and upgrade to new gear. 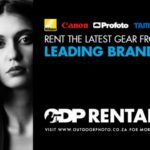 Conveniently located, we often receive second-hand cameras and lenses from trusted brands such as Canon, Nikon, Fujifilm, etc. We scrutinise every item to ensure you buy a high-calibre product. Whether you’re looking to add an extra camera body to your kit or try something new, have a look at our amateur and professional second-hand cameras and lenses. We may just have what you want! Cannot find what you’re looking for? Contact us and one of our trusted sales consultants will let you know as soon as the pre-owned item you require becomes available. Contact us with a list of the equipment you wish to trade-in. We can then confirm whether or not we would be able to trade-in the equipment and what estimated value we would be able to offer you on the items. You can either phone or send an e-mail to one of our sales consultants that will get back to you ASAP with values and all other necessary info as well as the documentation we require from you. Values are based on current market conditions in the second-hand market and the condition of the items, thus pricing will vary according to any changes that occur in the market and the perceived condition of the equipment. If confirmation is given that we can do a trade-in on your items and that you are happy with the estimated value, then a physical inspection of the items will be required to give a final go-ahead and value. Items are only inspected at our store and if you are unable to bring in the items yourself please ensure that the items are packed securely and safely to avoid any damage that might be caused during shipping. If you have difficulty getting the items to us, we can arrange a courier to collect the items on your behalf. A courier fee will be charged for the collection and delivery of the equipment to our shop. After inspection, a confirmed and final value will be given and if accepted the credit will immediately be made available for your planned purchase. Get the item you want and simply pay the balance. With inspection, the item is found to be in a condition that is different from the initially discussed condition. With inspection, the item is found to be different to the product initially discussed. With inspection, a fault is found that you were not aware of. In such cases, we will either recommend a repair or arrange for the return of the item. 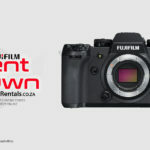 As soon as we receive pre-owned gear, we run a quality check to ensure that it holds up to the professional standards that you have come to expect from Outdoorphoto. The product images you see on the web are those of the actual products – we take those photos in-house and provide them to you as is. Browse our pre-owned camera gear, lenses and accessories below. If you cannot find what you are looking for, be sure to contact our trusted sales consultants so they can keep a lookout on your behalf. We pride ourselves on the diligence with which we inspect and rate every pre-owned camera or lens and set very high standards for what is acceptable for second-hand sale. All our used gear are in good working condition regardless of the ratings which are to indicate cosmetic appearance and warranty information only. ★★★★★ Brand new or demo unit. It might still carry the manufacturer’s guarantee, in which case we will indicate as such. ★★★★☆ Excellent condition with minimal signs of use. ★★★☆☆ Glass and functionality 100%. Good condition with slight signs of previous use. ★★☆☆☆ Glass and functionality 100%. Good condition with some scuff marks. ★☆☆☆☆ Glass and functionality 100%. Acceptable condition with a fair amount of scuff marks and signs of harder work. 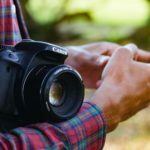 All used photographic equipment is covered by a 6-month warranty against any defects that we may have missed during our pre-inspection, so you can rest assured that your purchase is safe. Also, if a product’s factory warranty is still valid, it will automatically be carried over to you. If you want to log a return with us, please notify us within 7 days of receiving shipment / collecting the used gear in-store. We will not accept any requests for return after this 7-day period. Corner of Garsfontein Rd. & January Masilela Rd.